Joshua Bolchover and John Lin set up Rural Urban Framework (RUF), a research and design collaborative based at The University of Hong Kong. 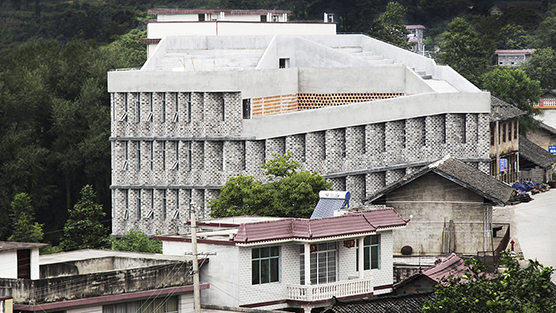 Conducted as a non-profit organization providing design services to charities and NGOs working in China, RUF has built or is currently engaged in over 15 projects in various villages in China. The projects include schools, community centers, hospitals, village houses, bridges, and incremental planning strategies. As a result of this active engagement, RUF has been able to research the links between social, economic and political processes and the physical transformation of each village. The work has been exhibited in the Venice Biennale 2010, the MAK Vienna 2012 and the Guggenheim 2013. Publications include Vitamin Green (Phaidon 2012), Moderators of Change: Architecture That Helps (Hatje Cantz, 2011) and a forthcoming book Rural Urban Framework: Transforming the Chinese Countryside (Birkhauser, 2013) as well as international journals including Architectural Record, DOMUS, MARK, Architectural Review and A+U. RUF projects have received numerous international awards. The House For All Seasons, a rural house prototype, was awarded the WA Chinese Architecture Award 2012 and was the overall winner of the Architectural Review's House Award 2012. RUF has also received high commendations in the AR Emerging Architect Award for Recycled Brick School 2012, Taiping Bridge Renovation 2010 and the Qinmo Village School 2009. Joshua Bolchover and John Lin are currently Assistant Professors at the University of Hong Kong and have taught and lectured in numerous academic institutions including the Chinese University of Hong Kong; The Bartlett, UCL; Cambridge University and the Royal Danish Academy of Fine Arts. This even is open to current Cooper Union students, faculty and staff. Room 315F.